AppGratis, a popular app discovery app on the iPhone, has been pulled from the App Store following the recent launch of its iPad version. TechCrunch reports that AppGratis has not spoken publicly about the issue, but other apps have been pulled from the App Store for violating a rule on displaying 'Apps other than your own for purchase or promotion in a manner similar to or confusing with the App Store'. That’s why many other scenarios are still possible. Maybe AppGratis uses a private API or breaks an insignificant guideline and Apple won’t put the app back in the store until an updated version is submitted. As always, developers are at the mercy of Apple’s review team. The team often contacts developers to require some changes to an app in order to stay in the store. Paris-based AppGratis has coincidentally raised $13.5 million in January. With 7 million users and the ability to lead to up to 500,000 downloads for a single app, the company is not a newcomer. If Apple wanted to stamp out AppGratis, it could have done it a few months ago. But sources close to the company say it was more than a little troubled that AppGratis was pushing a business model that appeared to favor developers with the financial means to pay for exposure. "The App Store is intended as a meritocracy," a source familiar with Apple's thinking told AllThingsD. 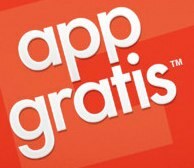 "Apple Pulls App Discovery App 'AppGratis' From App Store"
Should have put the word App more. Should of put the word App more. Gratis actually is the Norwegian word for Free. As well as Spanish, Italian, and English...and Afrikaans... and Haitian Creole, Dutch, Catalan, Croatian, Romanian, and, of course, Latin. Well, thanks to the publicity I'll be sure to check it out when it comes back. Apple's App Store discovery is hopeless and in need of a major overhaul. With iOS 6 we got a new layout but not really any new features or tools to facilitate app discovery. Seemingly 90 % of the top 100 apps at any given time are freemium ones. No I'm not interested in simulated gambling. They occasionally promote good apps in the banner ads but it's a very limited number that can get exposed that way. I'm sorry, but my inner grammar Nazi is cringing. It's 'should have' or 'should've', not 'should of'. On topic: I stopped using AppGratis a while ago (although still have it installed) because I got bored of the seemingly dull daily offers. The vast majority of apps seemed to me as ones that were performing poorly, usually for good reason, and so opted into AppGratis to try to boost awareness. I know that's probably the whole point of the app from a developer's perspective, but I was thoroughly unimpressed by the apps featured by it. I would have expected some mention of how this affects or relates to AppShopper, MacRumor's sister site. Beat me to it. If the promotion rule is the reason, AppShopper's next. So they deserve it. Too many money-sucking mediators these days. My friend just released his next app and the first 3 emails he got were some agencies proposing him to promote his app on the App Store. One of them was asking for ridiculous $49000 or something like that. Now he contacts popular app-review blogs to get a review and again they ask money for that. It wouldn't be a problem if they said "hey your app doesn't meet our quality standards, so we can't review it", but no, that's the business model for many of them - developers should just pay for reviews. AppShopper isn't even in the US iTunes store anymore. but other apps have been pulled (http://appshopper.com/blog/2012/12/20/appshopper-app-removed-from-the-app-store-for-now/) from the App Store for violating a rule on displaying 'Apps other than your own for purchase or promotion in a manner similar to or confusing with the App Store'. Read the article and click the links...they linked the AppShopper website in this posting. AppShopper was already pulled from the store a while back. MacRumors even posted a story about it. Even the TechCrunch story that was linked in the article contains information about how it relates to AppShopper. Take. The. Time. To. Read. Now he contacts popular blogs to get a review and again they ask money for that. It wouldn't be a problem if they said "hey your app doesn't meet our quality standards, so we can't review it", but no, that's the business model for many of them - developers should just pay for reviews. What are you guys expecting? That like saying WalMart should not be allowed to hand out commercial magazines or Apple shouldn't be allowed to run Super Bowl ads because there are better Indie phones that are not getting the proper exposure. That is how the world works. You pay for advertisement room and exposure. If you have a really genius idea it will maybe picked up nonetheless, but chances are slim.